For those that may not know, each Box Top is worth 10 CENTS!! Box Tops for Education can be found on hundreds of participating products that you probably use everyday. Products by Ziploc, Hanes, Betty Crocker, Pillsbury, Land of Lakes, Cascadian Farm, Hefty, Green Giant, Fiber One, Yoplait, Annie’s, Kleenex, General Mills, and MORE. 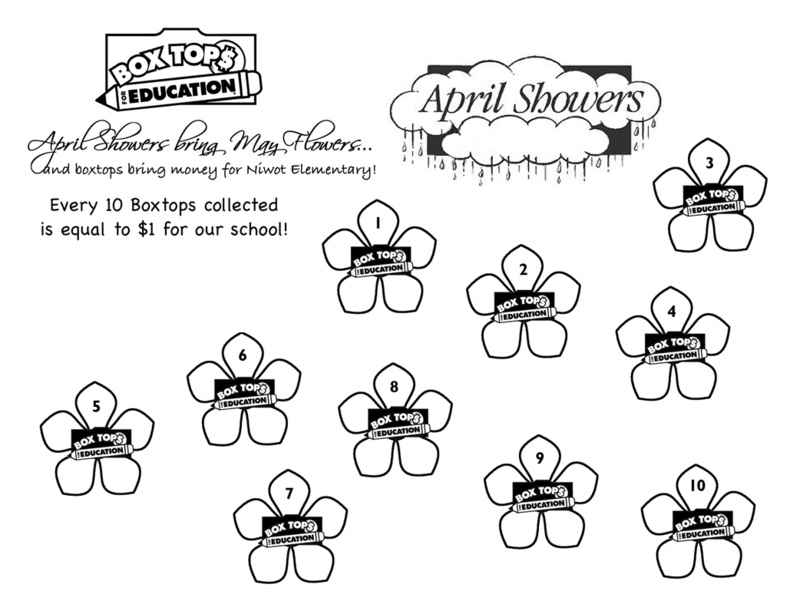 ​Submit Monthly - Turn in the Box Tops to your child’s class each month. We will collect them every month on the late start Wednesday, count them, and announce winners on the following Friday. Prizes - The class that collects the most Box Tops each month (K-2nd and 3rd-5th) will win a free recess and our Box Top Cougar traveling trophy! We will also continue to hold our yearlong contest. Every class will have the chance to earn prizes such as Box Top Brag Tags, PAWS for their classroom, Popcorn, Popsicle, and Ice Cream Sundae parties. The more Box Tops each class brings in, the more they will win! Please Check Expiration Dates – YES, they do expire! Keep an eye on the date in the lower right corner. Be sure that when cutting out Box Tops the date is visible. Get Others Involved — Increase your collection by asking grandparents, relatives, childless friends, neighbors, and co-workers to clip and collect Box Tops for you.